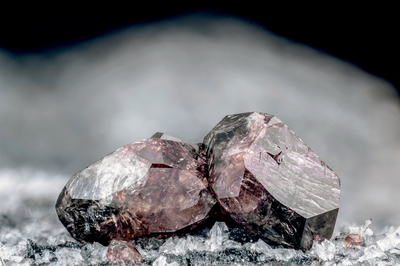 In the foreground, two titanite crystals, with reddish brown to blackish zonings. They are stocky and do not seem to have a twinned habit. Collection and photo of Gianfranco Ciccolini.